Sometimes it pays for you to have some frozen puff pastry in the freezer, all you need is some jam and custard and you’re on your way to a really good but simple freshly baked Danish pastry. You can also use fresh fruits or even savoury ingredients like vegetables and cheese. 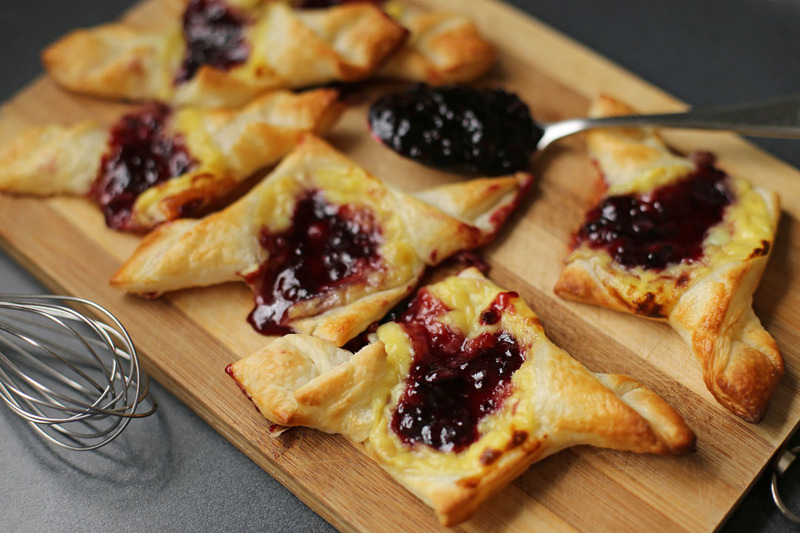 For today we will be making some Blueberry and Custard Danish, and like the name suggest it is made out of puff pastry topped with creamy custard and sweet blueberry jam. In a saucepan whisk together egg yolk, corn flour and sugar until well combined. Pour hot milk in over the egg yolk mixture while constantly whisking. Place saucepan over low heat and cook until custard thickens. Set it aside and let it cool. Divide one sheet of pastry into four pieces, you can fold them or just use it as it is. I will let you use your creativity or refer to this one. Place pastries in a baking paper lined baking tray, put two table spoons of custard on top then one tablespoon of blueberry jam on top of the custard. Brush exposed pastry sides with beaten egg. Bake in a 180C preheated oven for 10 minutes or until sides turn golden brown. Mmmmmmmmmmmmmm – Raymund – and so easy for when you feel like a sweet treat. This looks so good! I wish I had some puff pastry on-hand. I love custard and blueberry together. Great combo! I love the twist style of your Danish and such an easy recipe too. I always have frozen puff pastry in my fridge, just in case I have a savory curry puff craving! With frozen puff pastry? Gee! Never thought of making my own Danish using that – and that’s why I’ve never made them. Gotta try this soon. Thanks for sharing! Wow… This looks amazing, Raymund! It is perfect for snack and even for breakfast plus it is simple and quick to make. 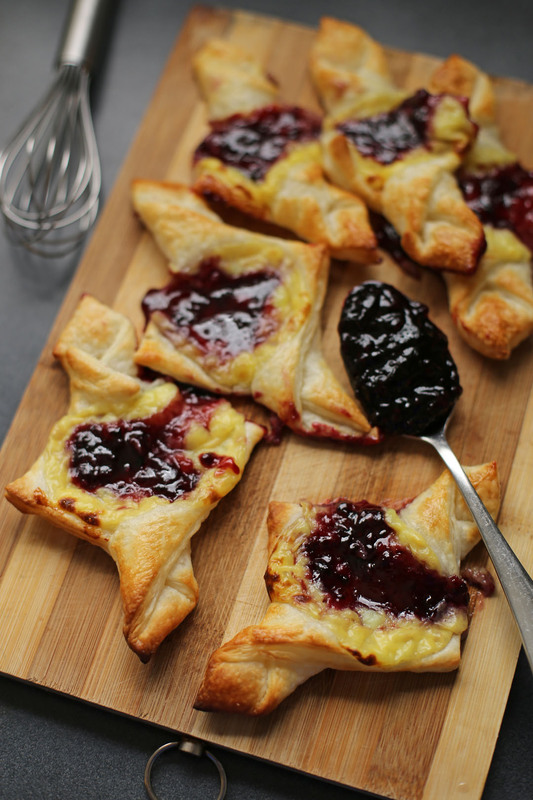 Raymund, this pastry look fabulous, I love the idea of jam and custard…on a flaky dough…yum! Life is too short to be making puff pastry from scratch 😉 I like to stock up on puff pastry as well! Your danish pastry looks perfect for breakfast and tea!